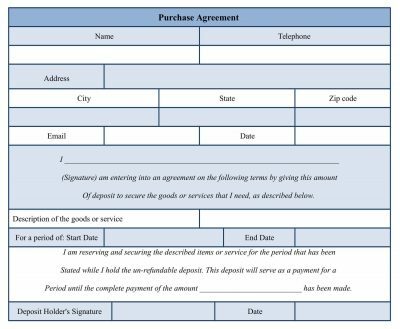 Generally, a purchase agreement form deals with more serious issues of the purchase than the other purchase forms. When a purchase is made, there should be terms and condition that needs to be agreed by the buyers and this form mentions the policies of a company in terms of purchasing products. The form mainly looks after the purchases, including a house, vehicle, business, equipment and so on. A real estate purchase agreement form is very common in use and it mentions the terms and condition regarding the real estate. A purchase agreement form includes the information, including the buyer and the seller’s details, the purchase amount and the deposit amount. 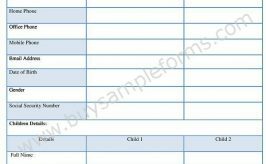 The sample of the form carries other details, including the declaration of buyer’s regarding the subject matter. To make the data valid, the signature of the buyer is needed. 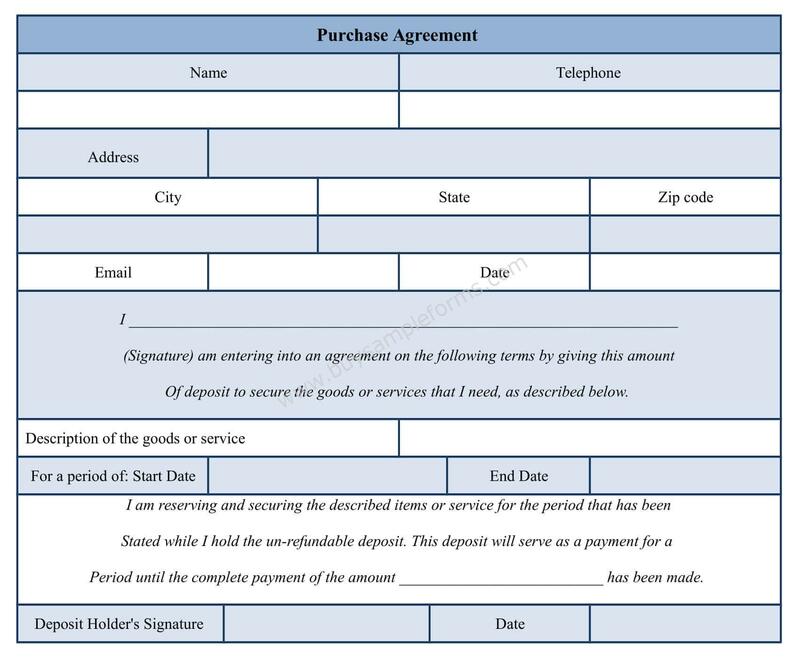 The template of purchase agreement form can be downloaded online in MS Word. Customize the document as per your own use.